For those who currently own any ShapeShift Holster, The ShapeShift Appendix Carry Expansion Pack is a go-to, affordable option for daily carry. In order to turn this expansion pack into the full ShapeShift Appendix Carry Holster, attach your half Shift Shell and trigger guard to the base, and you are ready to carry! Instructions are included. The ShapeShift Appendix Carry Holster is designed to be fully concealable, paired with unmatched comfort, so you can wear it all day, every day. 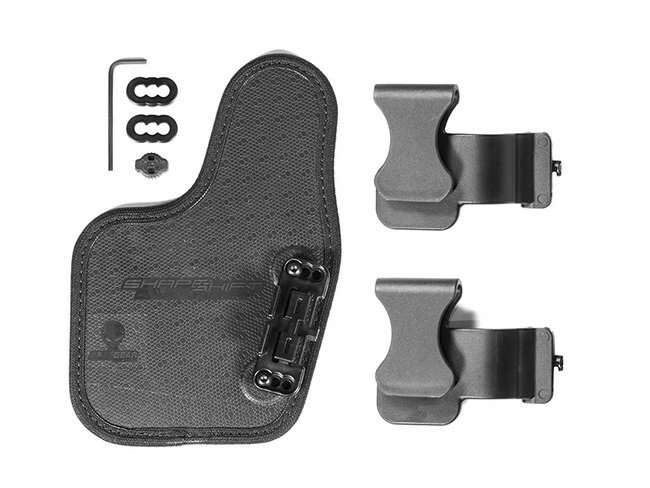 At the base of the holster is Alien Gear Holsters’ new and improved CoolVent™ neoprene that boasts superior airflow and a plushness that counteracts your rigid firearm. To prevent any discomfort, Alien Gear Holsters also removed all hardware that attached through the base of the holster. Security is at the forefront of the ShapeShift Appendix Holster’s design. The trigger guard fully covers the trigger all the way up to the grip of your firearm, and the firearm locks into place with a one-of-a-kind retention. An updated adjustable retention unit easily tightens and loosens retention with a tool that also acts as a part of the holster. Another form of retention for the Appendix Carry Expansion Pack is the alien skin surface of the holster. This material will grip your firearm and provide drag when holstering and drawing. Alien Gear Holsters has observed holsters made with other materials that sag and lose shape over time, getting in the way of drawing and holstering. 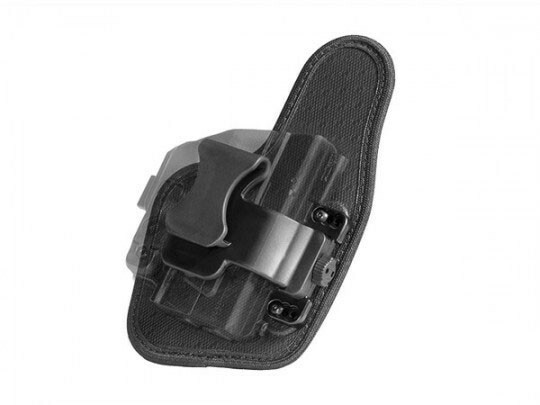 To keep your draw smooth and ever-consistent, the base of the ShapeShift Appendix Carry Holster contains a stainless spring-steel core that maintains constant shape after relentless usage. We back our promises with guarantees. Our products come with a Forever Warranty, and a 30-Day Test Drive.